One of the lovely parts of running a small business is mailing! I love sending out "happy mail"! And it took me a while to figure out how to do this the most cost effective way possible. I hope that my "trial and error" will help you with your mailings! The first thing I do to prep an order for shipment is to fold it nicely and package it in bread bags*. I always tie the bags closed with ribbon. Why bread bags? Not only do they fit what I ship nicely, and they are ready to gift, but it protects the shirt in the mail. If for some reason the polymailer (that's the next point) gets damaged, the bread bag is added protection. And I always stick two business cards in there. Why 2? Incase it's a gift for someone! Polymailers are the lightest packaging you can get. Since everything I send is charged by the ounce, I don't want my packaging weighing a lot. They weigh right at an ounce. I prefer the 10x13 size* which fit most of my typical mailings. I love how they self seal and you can fold them over to fit whatever you're sending. Goodbye packing tape! **Also since writing this post I have fallen in LOVE with these pink ones*. My postal scale* changed my life. Literally. It was the best $15 I have ever spent. My scale is 100% accurate to the post office. How do I know? When I first got it I compared it to the scale in the lobby. Then I would ask the clerk to check the weight just to be sure my scale was right. Sure enough it was exact. Also when weighing, always round up. 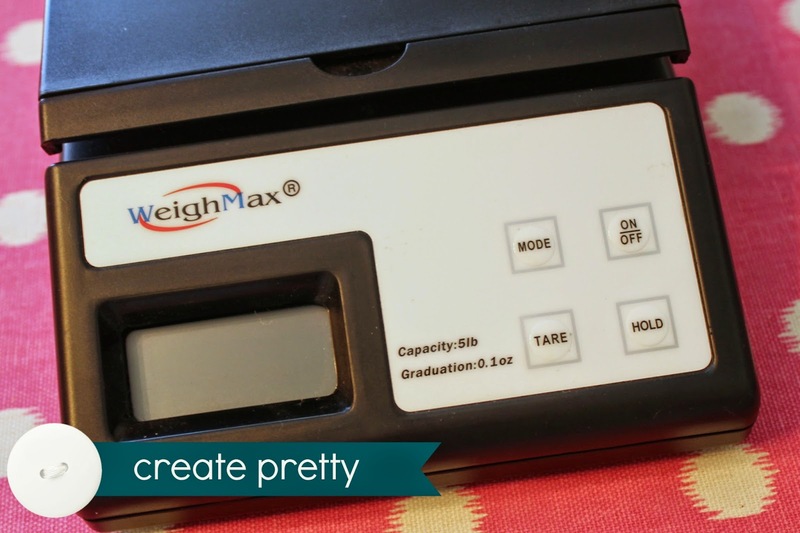 So if your scale says 4.7oz., round it up to 5oz when printing your labels. Labels* are a HUGE timesaver! I print my labels directly from the USPS, PayPal, or Etsy (I'll explain that in a minute). I order the half sheet generic ones from Amazon. I love that when printing through PayPal or USPS, it will print the label on one half of the sheet and a receipt on the other half sheet. Printing the receipt makes it super easy for me to file for taxes and it prints my tracking # for easy reference. If you have requested money or sent an invoice through PayPal, they make it incredibly easy to print the labels. Once you receive payment this will pop up next to the person's name. 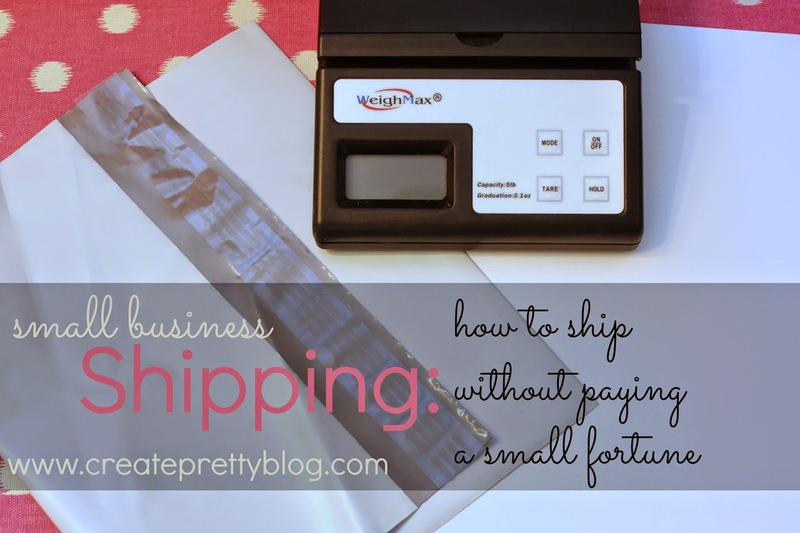 Click print shipping label. 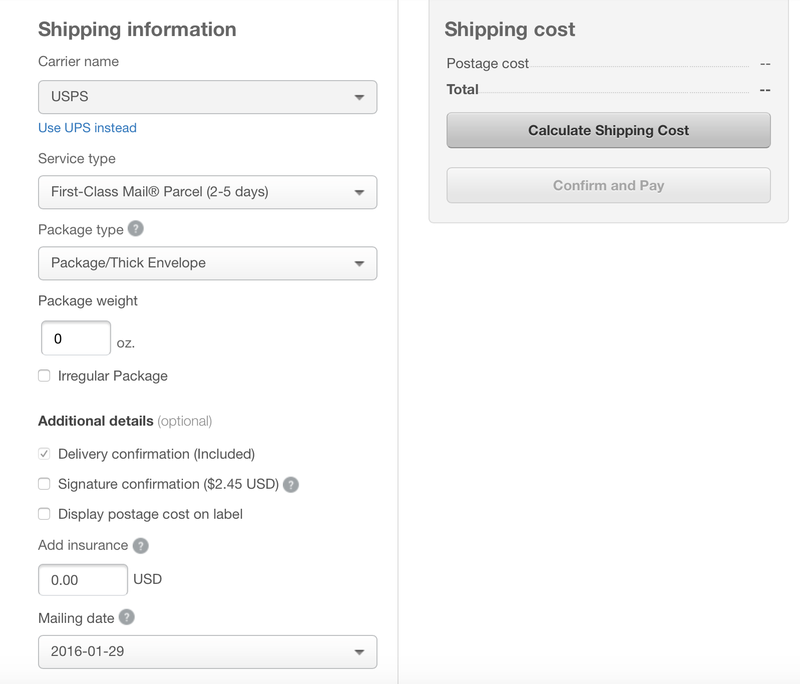 PayPal will automatically add the buyers address (and they add your address as the seller). Then you have to choose a few options. This is exactly how my screen looks when I print postage in PayPal. Add however many oz. you are shipping (up to 15.99oz.) and if you aren't mailing today change the shipping date. 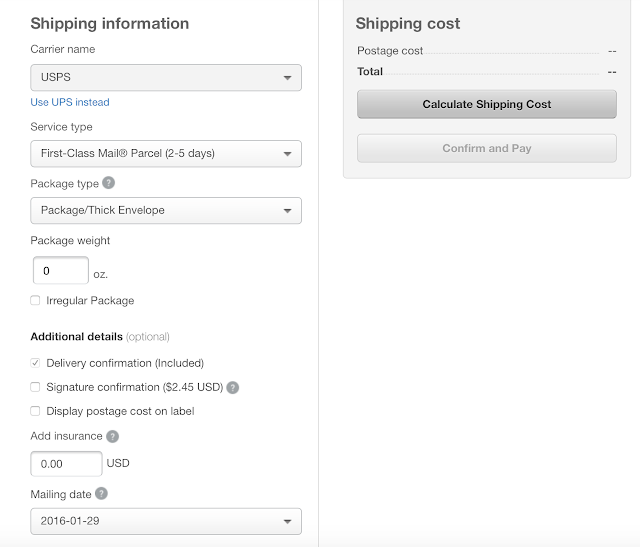 You click "calculate shipping" and then it will verify that you are about to purchase postage and then it will give you the chance to print. If you mess up and realize after paying you can cancel the label. It takes a few days to get refunded but it's worked the few times I've needed to be refunded. Of course void and trash the canceled label. Every label that prints this way includes tracking and PayPal also makes it easy to track the packages. 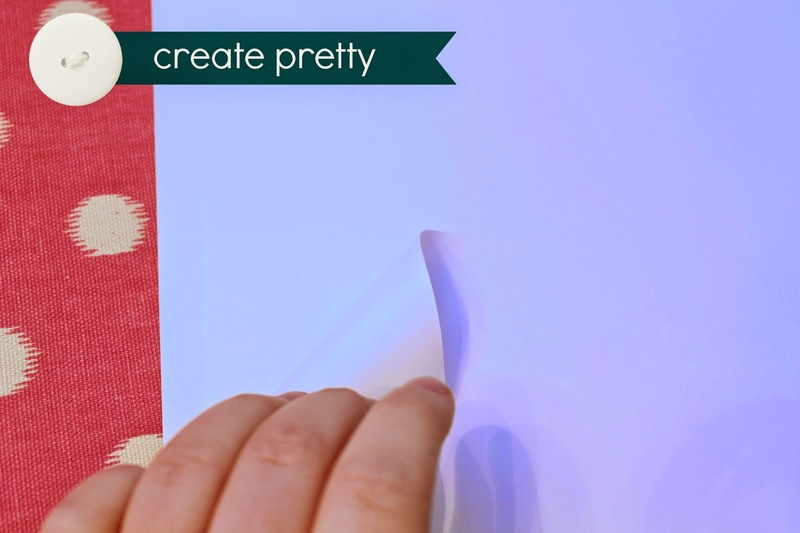 Moving on to Etsy- Etsy makes it incredibly easy to print a label through their site. Once an order is placed and it's ready to ship go to "your shop">orders and then "print shipping label". You pretty much just have to enter the ounces and it creates the label. Also be sure your shipping is set up correctly in your shipping profiles. So what if you need to ship a package to someone and you didn't use PayPal to receive the money? I'm so glad you asked! Guess what? You can STILL USE PAYPAL! Go to www.paypal.com/shipnow From here you can manually enter the buyers address. I've had to do this a few times when my buyers are unverified and/or they enter the wrong address (Ln. instead of LANE, or if the city and zip clash). Also if your postal scale says 4.7 ounces ALWAYS round UP. That would be 5oz. The last thing you need is your customer having to cough up money for your shortfall. What about a package that weighs over 15.99oz? Great question! I usually use a flat rate box from the Post Office. Typically these are larger orders or a big item. 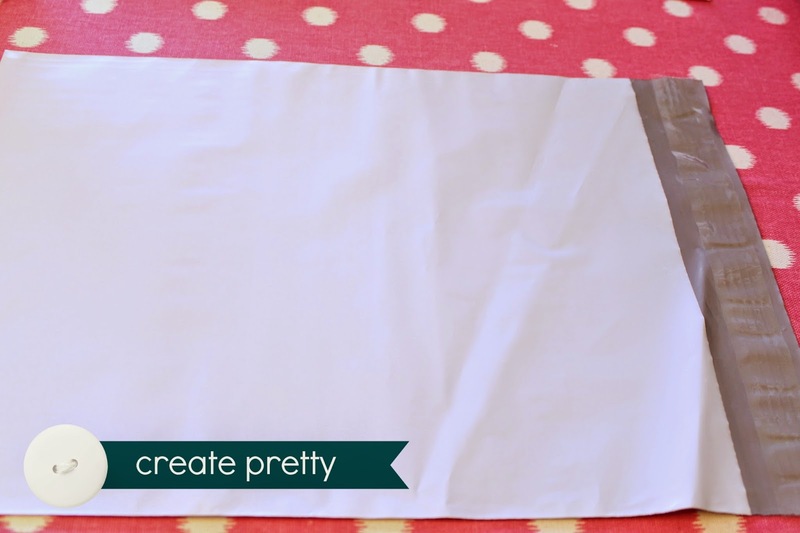 I have fallen head over heels in love with PADDED flat rate mailers. They fit a TON (way more than a flat rate box). PayPal now has the option to choose a padded flat rate mailer (this used to not be the case). It's around $7 to ship and is a good option for items over 1lb. Also order your flat rate padded mailers (or any flat rate box) for FREE right from the USPS website! I order about 20 at a time so that I'm never caught without them. That supply usually lasts me 2-3 months. The best part about learning all this is YOU DON'T HAVE TO STAND IN LINE AT THE POST OFFICE! Yes you read that correctly. 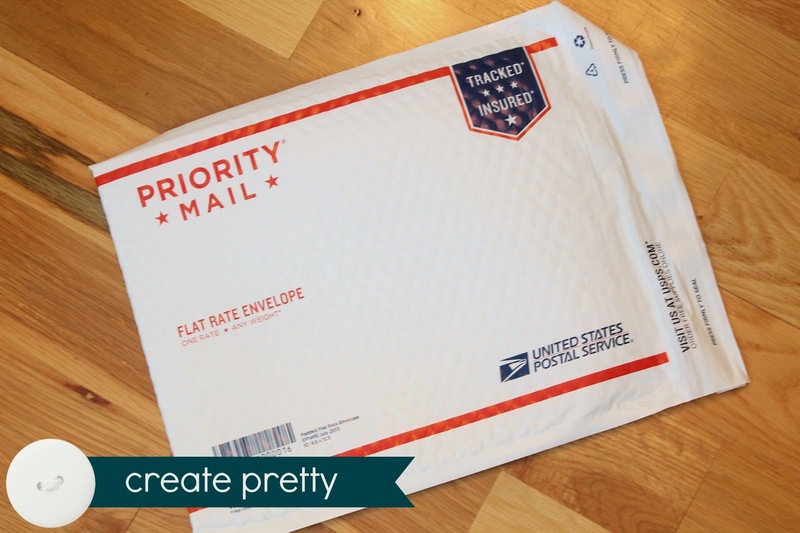 For the small cost of labels*, polymailers*, and a postal scale* you can avoid the line altogether. Every post office has a designated place to drop off your parcels. Mine likes them piled at one of the stations they never use for customers. There is usually a mile high pile at mine. They scan them in as they have a lull in the crowd. Some post offices have a self serve drop box and you can place them there. Happy shipping! Oh and customize all you want! My next order of polymailers WILL be colored. And I've contemplated printing stickers and closing the bags or polymailers with them. Decisions, decisions! *Contains an affiliate link. Read my disclosures here. 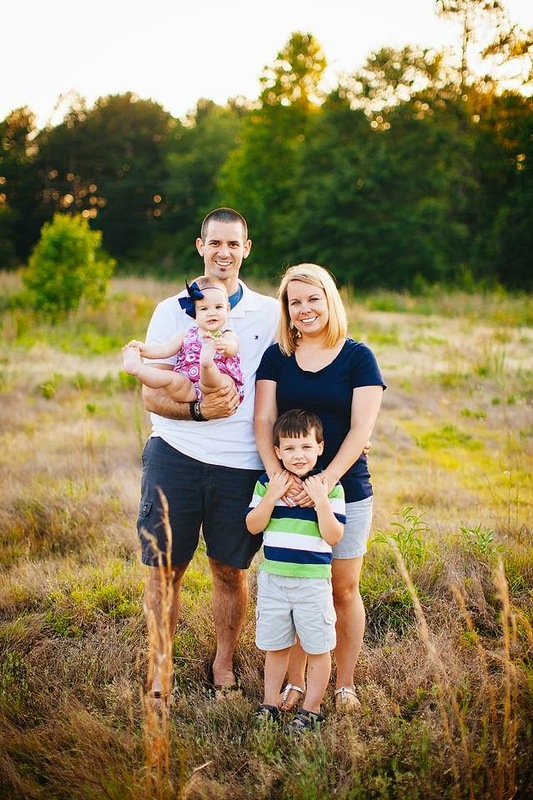 Thanks for helping support my family!